A man was shot the Chicago's River North neighborhood overnight. 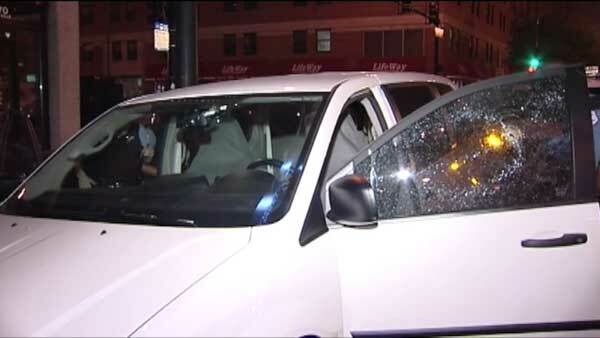 CHICAGO (WLS) -- A man was shot the Chicago's River North neighborhood overnight. Police said a 26-year-old man was sitting in a vehicle near West Chicago Avenue and North LaSalle Street when someone walked up and opened fire. The victim was shot in both feet. He was taken to Stroger Hospital in good condition and is expected to be OK. There were bullet holes in the driver's side window and windshield of a white vehicle at the scene. Glass was also shattered at a nearby bus stop.